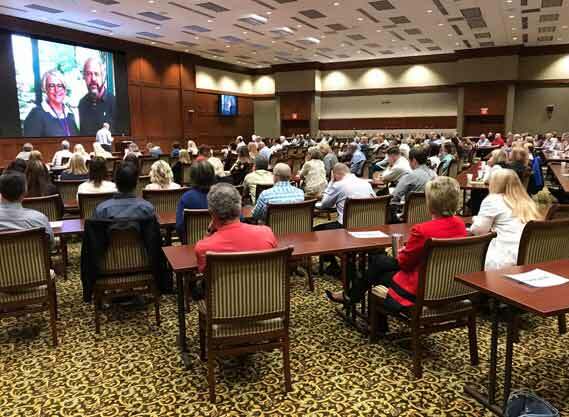 Last week I traveled to Oklahoma City, where I had the opportunity to speak on truth and happiness to the staff at the Hobby Lobby and Mardel Bookstore headquarters. My books 60 Days of Happiness (Tyndale House) and Truth (Harvest House) were given away to employees, courtesy of those two great publishers. In 2012-2013 the Greens did an historic service for Christian ministries, churches, and Christian business owners when they refused to follow the government’s mandate that they must provide abortion-inducing drugs for their employees as part of their health care. If they continued to refuse, the government fines would amount to $1.3 million every day, or $475 million each year. At one point things looked very bleak for Christian organizations, which—if they acted on their biblically-informed consciences—would have been forced to shut down through the extreme punitive damages brought against them by the government. Hobby Lobby took the case all the way to the Supreme Court, and to the surprise of many, won a narrow 5-4 victory. This means every church, ministry, and Christian-owned business in America is in the debt of the Green family. Had they not stood firm, taken their case to the Supreme Court, and won, the rest of us could have faced crippling fines for holding fast to our moral convictions. 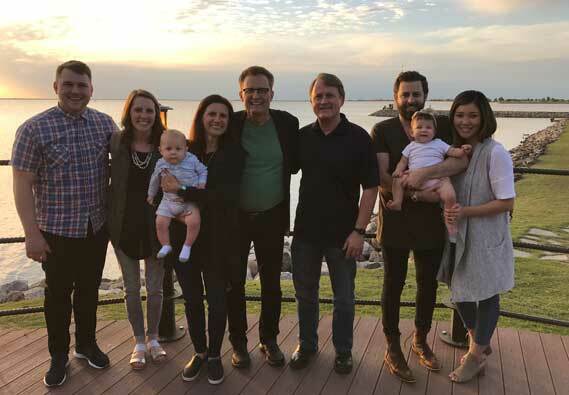 While in Oklahoma, accompanied by my long-time friend Mike Petersen, I enjoyed spending time with David’s sons Mart (an old friend) and Steve (a more recent friend) and their families. 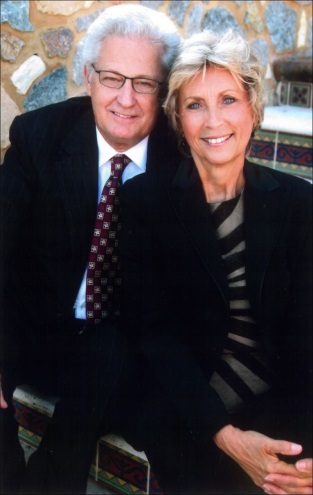 Mart Green is the founder and CEO of Mardel Christian Stores and heads up the wonderful missions organization Every Tribe Every Nation. 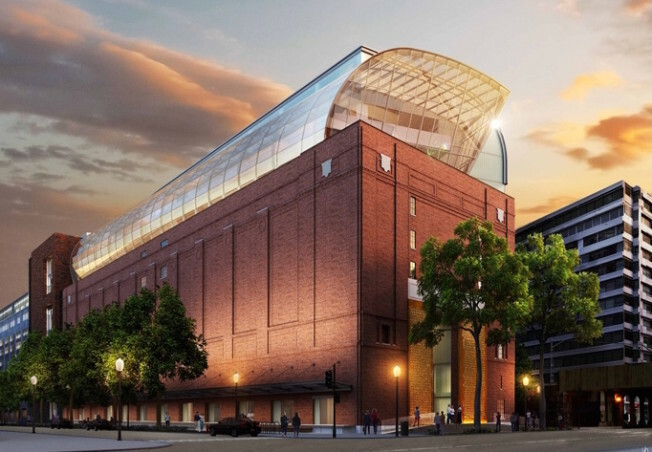 Steve Green serves as the president of Hobby Lobby and is now devoting most of his time to the new Museum of the Bible opening later this year. I was welcomed to Oklahoma City by Mart and his wife Diana, and had a wonderful time with some of their kids and grandkids. After I spoke the first time to a few hundred Hobby Lobby employees, and before I spoke at a later gathering, they gave Mike and me a tour of the mammoth Hobby Lobby facility. This 51 seconds I filmed from a golf cart tour shows a tiny, tiny portion of the 9.1 million (not a typo!) square feet of their headquarters (this particular building was a half mile long). I was blown away at the sheer size of this place and ingenuity that has been put into it. God has given people created in His image the ability to create, and to manage His world. Amazing. For the last several years, the Green family has been undertaking a new, massive project. 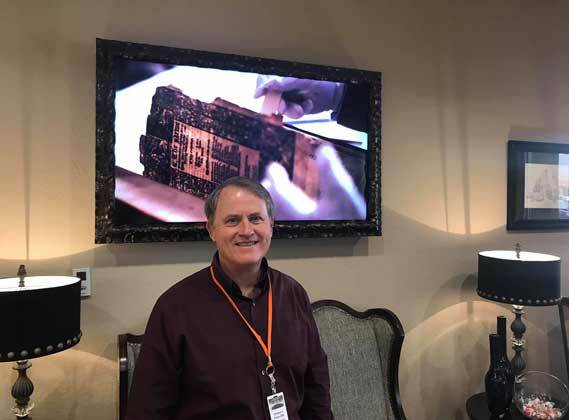 Mike and I also got a close-up view of some of the 40,000 artifacts that are currently at the Hobby Lobby headquarters but will be part of the Museum of the Bible. The 430,000 square foot museum will open in Washington, D.C. this November, and it will be incredible. The historical building they bought and are renovating is close to the National Mall and within walking distance to the Smithsonian museums and the Capitol Building, so tourists will naturally take it in. They will have some high tech and interactive displays. However, they will simply let the Bible speak for itself! That means the Holy Spirit can do His convicting and regenerating work in countless lives, as they see and hear the actual words of Scripture, including the claims of Jesus. My prayer is that many unbelievers will see the Bible in a new light, and be motivated to go home and actually read and ponder it, perhaps for the first time. If you’re planning a trip to D.C. in November or thereafter, I encourage you and your family to check out the Museum of the Bible! “My word that goes out from my mouth…will not return to me empty, but will accomplish what I desire and achieve the purpose for which I sent it” (Isaiah 55:11). Last month when Nanci and I were in Washington, D.C., we had the opportunity to preview the 430,000 square foot Museum of the Bible, which officially opened to the public this past weekend. I’m not exaggerating when I say it’s absolutely incredible. Kevin DeYoung is a pastor and an excellent writer. His blog is one of my favorites. I’ve talked about the Hobby Lobby case before, but asked Kevin’s permission to repost his blog.